"Taking Your Investments Under Our Wing"
Gold Wing Renovations sees trust as a representation of two primary factors – integrity and performance. Integrity includes respect, ethics, and intent, while performance speaks to a company’s track record when it comes to executing ideas, accomplishing feats, and delivering results. It is our commitment to show how we will confidently and successfully exemplify trust through our honesty, creativity, expertise, and outstanding craftsmanship. 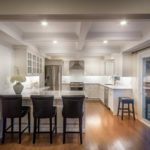 Specializing in a wide variety of kitchen, bathroom, and custom home renovations, Gold Wing Renovations can provide you with the highest quality service to maximize your investment and create functional and beautifully crafted designs. 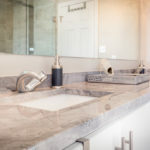 Whether you’re looking to update a bathroom shower, replace fixtures, build custom cabinets, install new flooring, or complete other unique home customizations, our team of design professionals and licensed contractors has over 15 years of industry and trade experience to help turn your vision into a reality. Throughout the entire renovation process, we work closely with you to ensure that elevated standards for trust in your contractor are set and maintained. 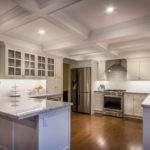 We will collaborate with you on your ideas, show you how to visualize the finished project, and provide contracting services from start to finish. Do you require interior design solutions as well? We can help! As a family-oriented business, we treat our clients like our very own family, friends, and neighbors. We approach each and every one of our unique projects with tact, and we strive to maintain your dignity and respect at all times. At Gold Wing Renovations, we promise to be a reliable evaluator, key adviser, and objective expert when it comes to your home renovation goals. Let our standards and designs speak clearly to our competence and character and contact us today about your plans for your project. We proudly serve customers in Hamilton, Burlington, Ancaster, Dundas, Stoney Creek, and the surrounding areas.